The concept has a moral and practical basis. We wouldn’t want to live in a world with no sanitation workers, no janitorial work and nobody to do various other necessary jobs. So, why should those who do these jobs have less of their needs met? Suppose every adult could just as easily be the proverbial “rocket scientist” or “brain surgeon”. Such a person might find some necessary but repetitive jobs even more wearing than most people do. If there are non-rocket scientists who can work in factories, let the rocket scientists be happy they are rocket scientists and give the factory workers a generous standard of living. We still haven’t crossed beyond the realm of society dominated by big money. Once we do, it will still take a while to reconfigure the economy and government, change habits and assumptions, and otherwise prepare for goals such as “to each according to his needs”. In the final analysis, future society will use its decision-making processes to apply (or not apply) such a rule of distribution. I’m not assuming I’ll be there to participate in finalizing how it’s done. Still, we can try to shed some light on the question today. This is your morning enter Open Thread. Pour your favorite beverage and review the past and comment on the future. Find the past real cialis soft “On This Day in History” here. On this day in 1948, The World Health Organization is founded. WHO is a specialized agency of the United Nations (UN) that acts as a coordinating authority on international public health. Established on April 7, 1948, with headquarters in Geneva, Switzerland, the agency inherited the mandate and resources of its predecessor, the Health Organization, which was an agency of the League of Nations. 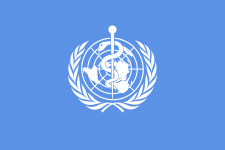 The World Health Organization (WHO) is one of the original agencies of the United Nations, its constitution formally coming into force on the first World Health Day, (April 7, 1948), when it was ratified by the 26th member state. Jawaharlal Nehru, a major freedom fighter of India had given an opinion to start WHO. Prior to this its operations, as well as the remaining activities of the League of Nations Health Organization, were under the control of an Interim Commission following an International Health Conference in the summer of 1946. The transfer was authorized by a Resolution of the General Assembly. The epidemiological service of the French Office International d’Hygiène Publique was incorporated into the Interim Commission of the World Health Organization on January 1, 1947. Apart from coordinating international efforts to control outbreaks of infectious disease, such as SARS, malaria, tuberculosis, influenza, and HIV/AIDS, the WHO also sponsors programmes to prevent and treat such diseases. The WHO supports the development and distribution of safe and effective vaccines, pharmaceutical diagnostics, and drugs. After over two decades of fighting smallpox, the WHO declared in 1980, that the disease had been eradicated – the first disease in history to be eliminated by human effort. The WHO aims to eradicate polio within the next few years. The organization develops and promotes the use of evidence-based tools, norms and standards to support Member States to inform health policy options. It regularly publishes a World Health Report including an expert assessment of a specific global health topic. The organization has published tools for monitoring the capacity of national health systems and health workforces to meet population health needs, and endorsed the world’s first official HIV/AIDS Toolkit for Zimbabwe (from 3 October 2006), making it an international standard. In addition, the WHO carries out various health-related campaigns – for example, to boost the consumption of fruits and vegetables worldwide and to discourage tobacco use. The organization relies on the expertise and experience of many world-renowned scientists and professionals to inform its work. Experts met at the WHO headquarters in Geneva in February, 2007, and reported that their work on pandemic influenza vaccine development had achieved encouraging progress. More than 40 clinical trials have been completed or are ongoing. Most have focused on healthy adults. Some companies, after completing safety analysis in adults, have initiated clinical trials in the elderly and in children. All vacciness so far appear to be safe and well-tolerated in all age groups tested. The WHO also promotes the development of capacities in Member States to use and produce research that addresses national needs, by bolstering national health research systems and promoting knowledge translation platforms such as the Evidence Informed Policy Network (EVIPNet). WHO and its regional offices are working to develop regional policies on research for health – the first one being the Pan American Health Organization/Regional Office for the Americas (PAHO/AMRO) that had its Policy on Research for Health approved in September 2009 by its 49th Directing Council Document CD 49.10.
WHO also conducts health research in communicable diseases, non-communicable conditions and injuries; for example, longitudinal studies on ageing to determine if the additional years we live are in good or poor health, and, whether the electromagnetic field surrounding cell phones has an impact on health. Some of this work can be controversial, as illustrated by the April, 2003, joint WHO/FAO report, which recommended that sugar should form no more than 10% of a healthy diet. This report led to lobbying by the sugar industry against the recommendation, to which the WHO/FAO responded by including in the report the statement “The Consultation recognized that a population goal for free sugars of less than 10% of total energy is controversial”, but also stood by its recommendation based upon its own analysis of scientific studies. The World Health Organization’s suite of health studies is working to provide the needed health and well-being evidence through a variety of data collection platforms, including the World Health Survey covering 308,000 respondents aged 18+ years and 81,000 aged 50+ years from 70 countries and the Study on Global Aging and Adult Health (SAGE) covering over 50,000 persons aged 50+ across almost 23 countries. The World Mental Health Surveys, WHO Quality of Life Instrument, WHO Disability Assessment Scales provide guidance for data collection in other health and health-related areas. Collaborative efforts between WHO and other agencies, such as the Health Metrics Network and the International Household Surveys Network, serve the normative functions of setting high research standards. WHO has also worked on global initiatives in surgery such as the Global Initiative for Emergency and Essential Surgical Care and the Guidelines for Essential Trauma Care focussed on access and quality. Safe Surgery Saves Lives addresses the safety of surgical care. The WHO Surgical Safety Checklist is in current use worldwide in the effort to improve safety in surgical patients. source site Officials from six world powers and Iran have ‘long and intensive discussions’ in Kazakhstan, but don’t get far on the nuclear issue, an EU official says. WASHINGTON – The latest round of international negotiations over Iran’s disputed nuclear program concluded Saturday with no sign of progress and the future of the fitful diplomatic effort uncertain. Officials from Iran and the six world powers had “long and intensive discussions” in the two-day session in Kazakhstan, but ended “far apart on the substance,” Catherine Ashton, the European Union foreign policy chief, said in Almaty. The group didn’t schedule another meeting, as they usually have done in the past to show that diplomacy would continue with at least low-level conversations. Officials also said the two sides did not narrow their differences in the final minutes, as often happens. My friend’s mother died recently. Lung Cancer, she smoked like a chimney. What the Mom did was give me shelter and sympathy when I went to her literally (not figuratively) crying after being thrown on the shower wearing a $200 wool suit I didn’t own by my “team” mates. Oh, it’s ok, the coach laughed at me also. I guess I was too gay (not, but you don’t have to be). Anyway it made a big impact on me and when I moved to Syracuse my friend made sure I had a job and a place to stay (better actually, I had 3 rooms they a studio). Now they are a Public Defender and I honor them in this kind of anonymous way not just because I may need to be bailed out (oh, ask me about Texas, Billy, Micky, and the Armadillo), but because they introduced me to the Dome. It’s really fun to bounce around on the top.